Apple WWDC 2019: Today is the much awaited WWDC Keynote event of the known tech giant, Apple. The live stream and watch online video are broadcasted right from the venue, the McEnery Convention Center in San Jose. Apple is going to showcase many new updates for iOS, macOS, tvOS, watchOS, new iMac, and maybe the iPad Pro and the MacBook Pro. The start time is 10 am PT (1 PM in New York, 6 PM in London, 7 PM in Paris). Watch Apple event online as it is being streamed live. 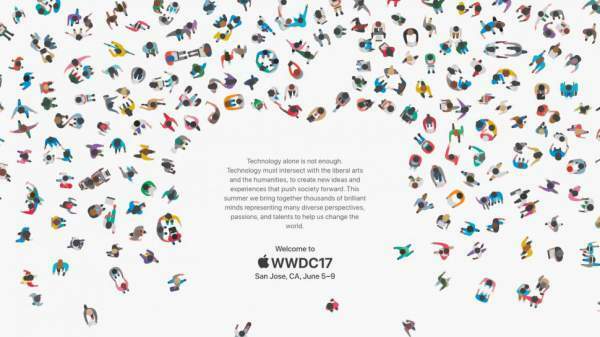 It is being expected that Apple may release new features for all its software platforms as WWDC is itself a developer conference. Moreover, Apple usually holds a press conference in the spring too. However, the company has been quiet for a time being now and turned the usual WWDC keynote into a big deal. There are rumors which suggest that the company may unveil a 10.5 inch iPad Pro and minor MacBook (Pro) updates. Another set of rumors says that Apple can bring an Amazon Echo speaker competitor into existence. Today’s event is going to be a packed one. The Apple TV users can download the Apple Events app from the App Store to stream Apple WWDC event 2019 live. With it, you can also rewatch the old events. Moreover, Apple is pushing the new Apple Events channel so that the audience can watch the event online. If you don’t have access to the Apple TV, you can still watch the same on the official website of Apple at the relevant link. The video feed only works in Safari and Microsoft Edge and on macOS, iOS, and Windows 10. It makes many chances that you may have any one of the above. Codecs/extensions like MSE, AAC, and H.264 may/may not work with Google Chrome and Mozilla Firefox browsers. And there are many live blogs, of course. Stay tuned to TheReporterTimes for latest Apple news and its products’ updates around the world. What did you expect? Share your thoughts.